Are you looking for a sleek and sophisticated ring to give to your groom? 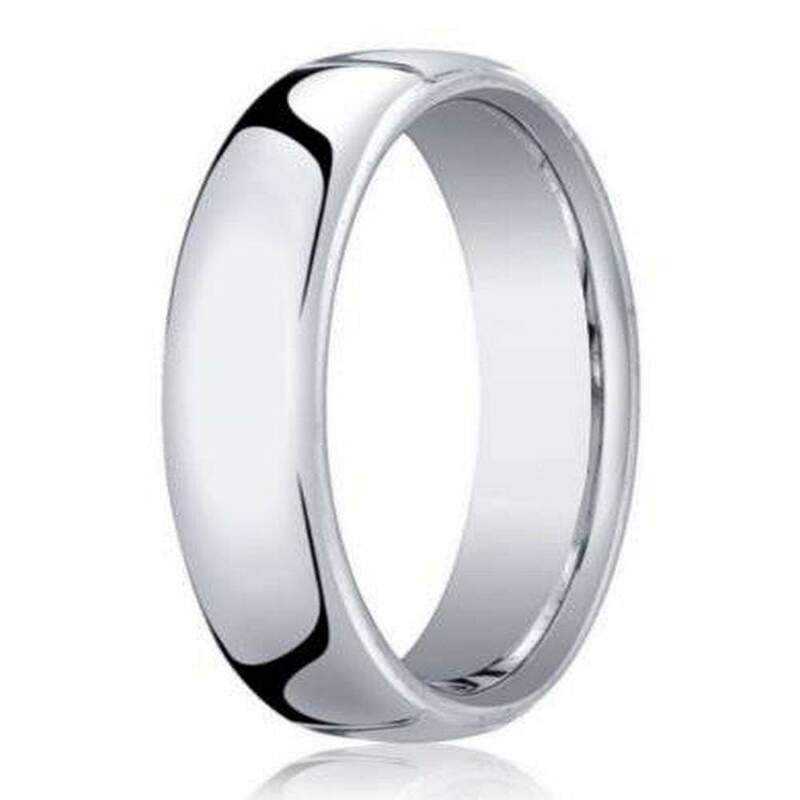 Look no further than the 10K white gold heavy-fit designer men's wedding band from JustMensRings.com. White gold presents an affordable alternative to platinum or palladium rings without compromising on quality and the same silvery hue. 10K white gold contains approximately 41.7% pure gold by weight and an alloy of other metals, such as nickel, palladium, silver, or zinc, to add strength and durability. Every 5.5mm 10K white gold heavy-fit designer men's wedding band we offer is eligible for customization. You can share a special sentiment with your soon-to-be spouse or add the date of your wedding day by taking advantage of our engraving services. Your engraving can be up to 30 characters in length. We know how difficult it can be to find a twist on a classic that will remain timeless. That is precisely why we designed the 10K white gold heavy-fit designer men's wedding band. With a little extra heft on his hand, your groom will be continually reminded of the vows you exchanged and the promises you shared as a newly married couple. Each 10K white gold wedding ring features a classic dome that is slightly heavier to create a more prominent profile. Due to the comfort-fit design of the 5.5mm 10K white gold heavy-fit designer men's wedding band, we recommend that your groom have his ring finger measured for accuracy to ensure that the comfort-fit style is right for him and his lifestyle.